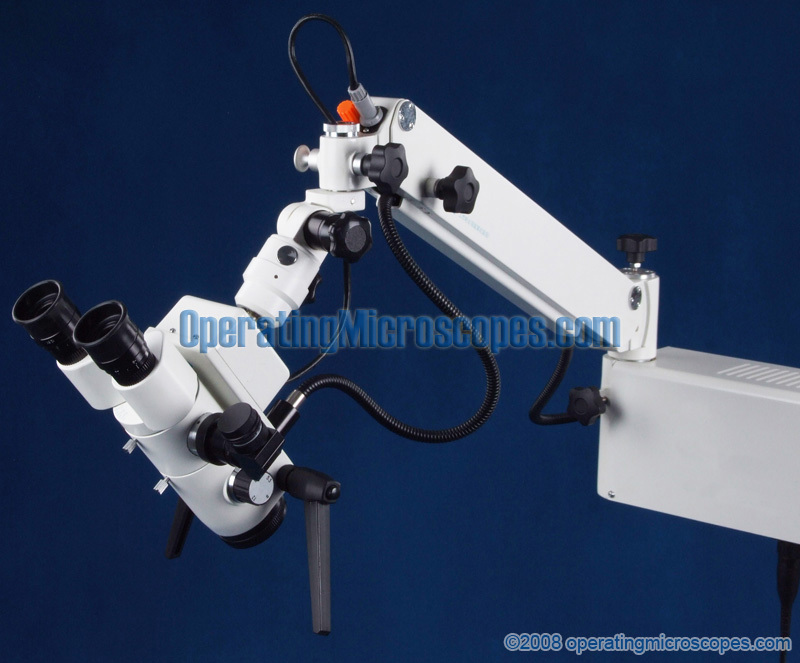 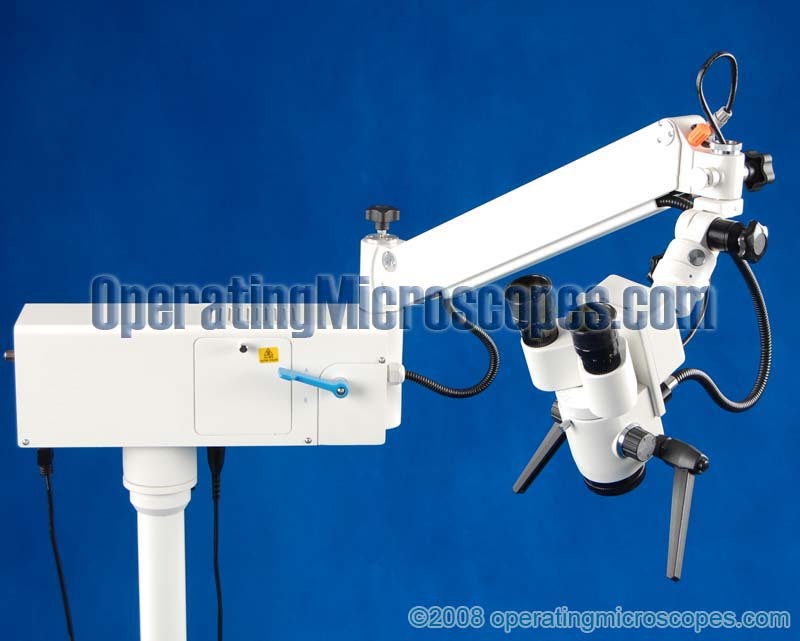 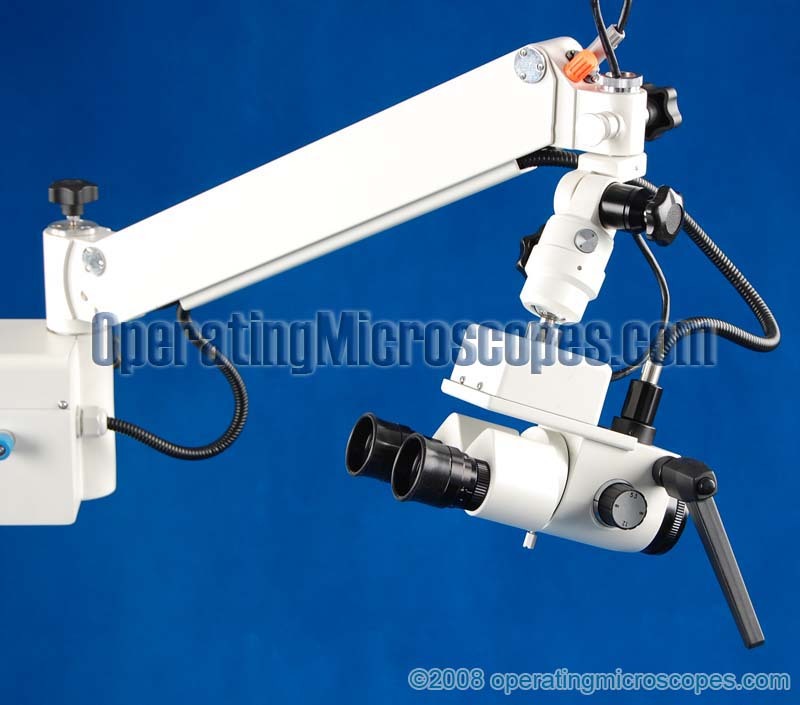 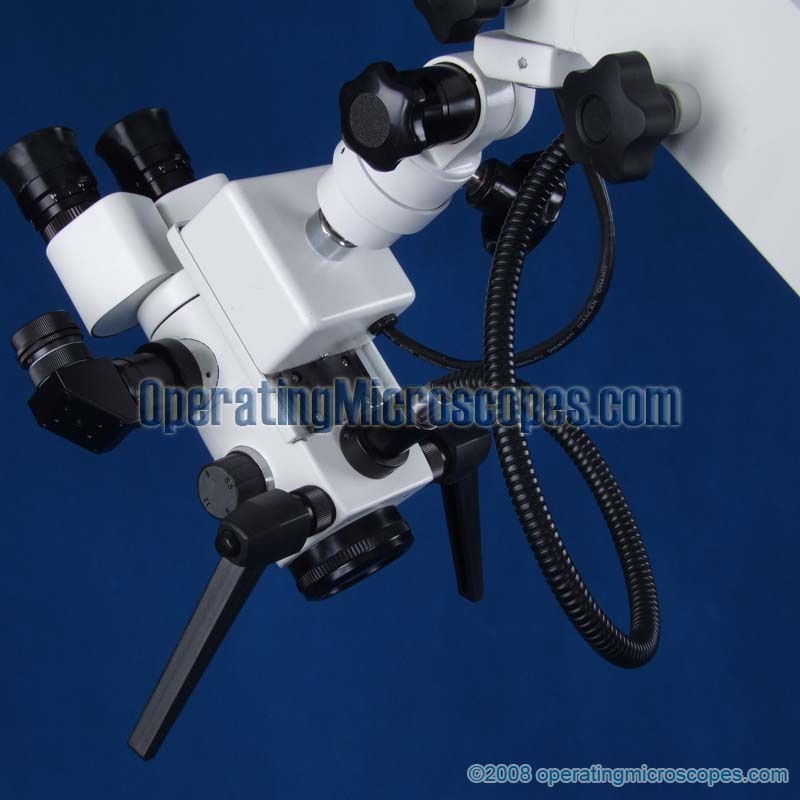 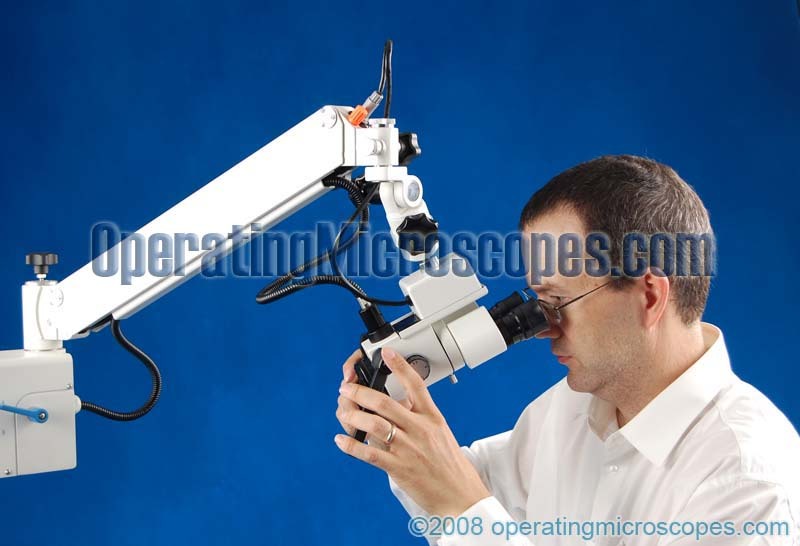 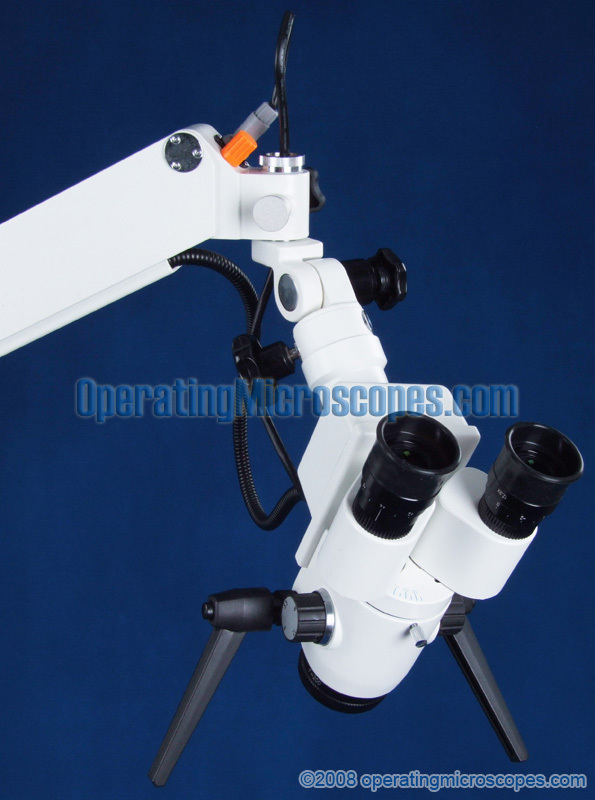 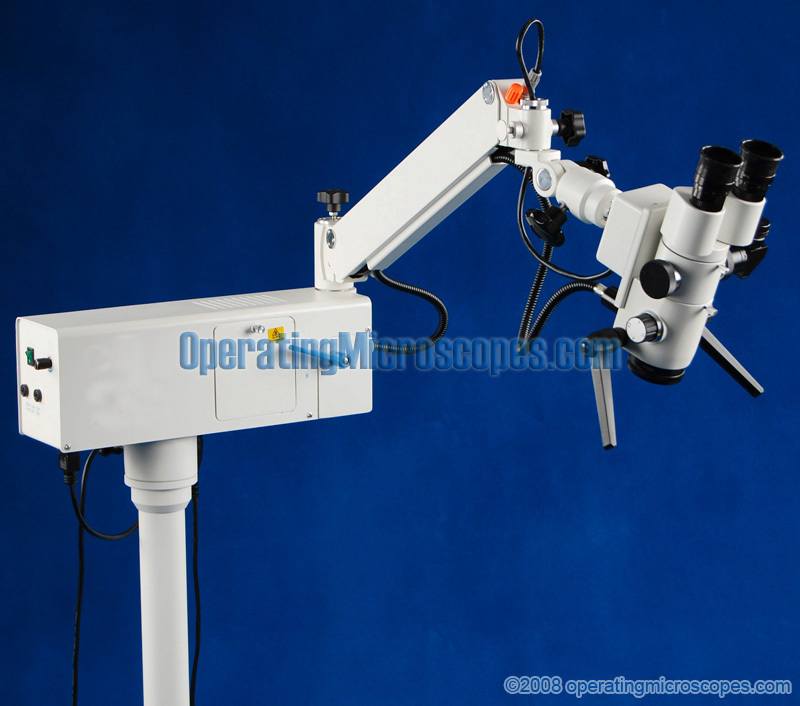 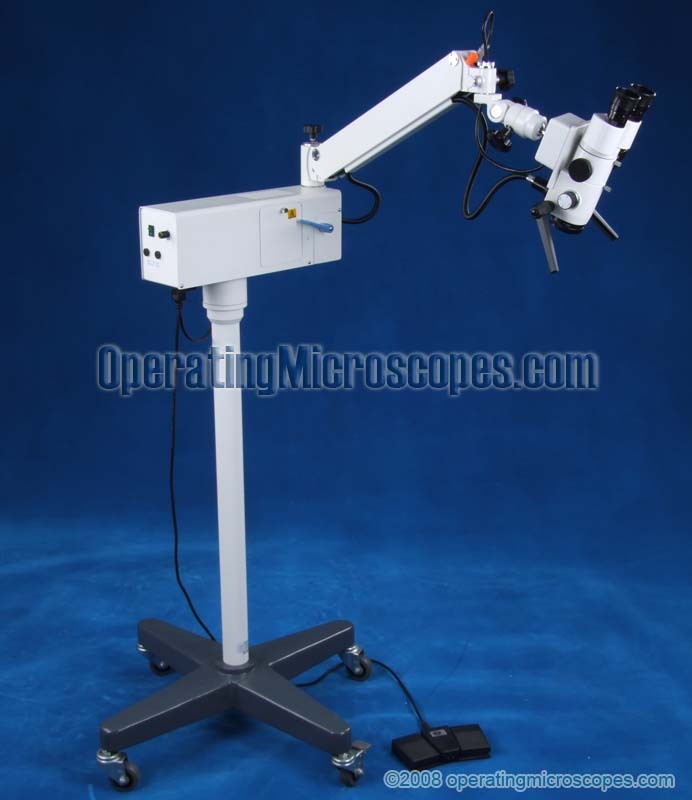 This model of ENT / dental surgical operating microscope is identical to model MS-111 with the exception of it having an improved illumination system, longer reach, and a taller column size. 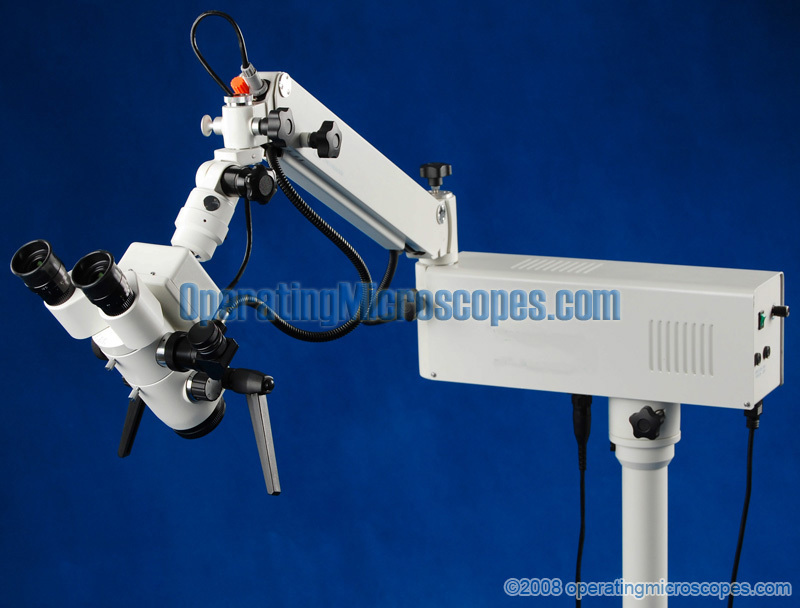 The improved lighting gives better and brighter imaging for the ENT surgeon. 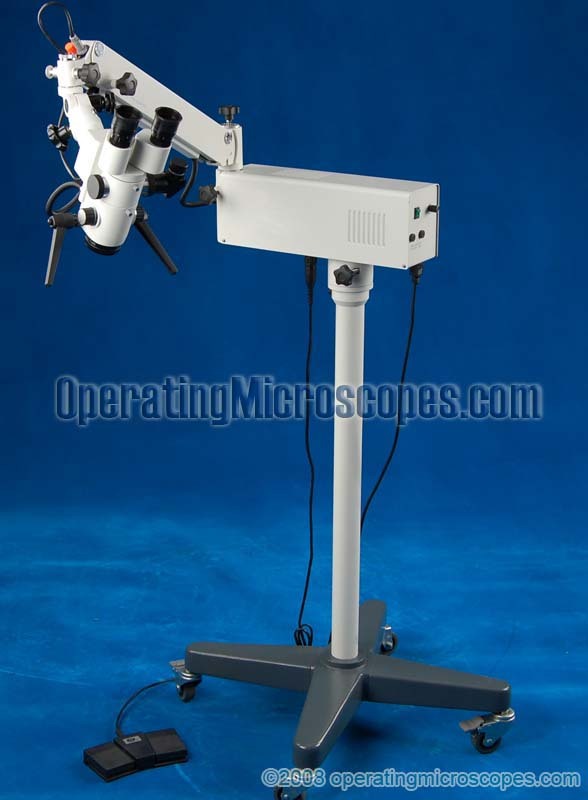 It is a slightly improved and newer model. 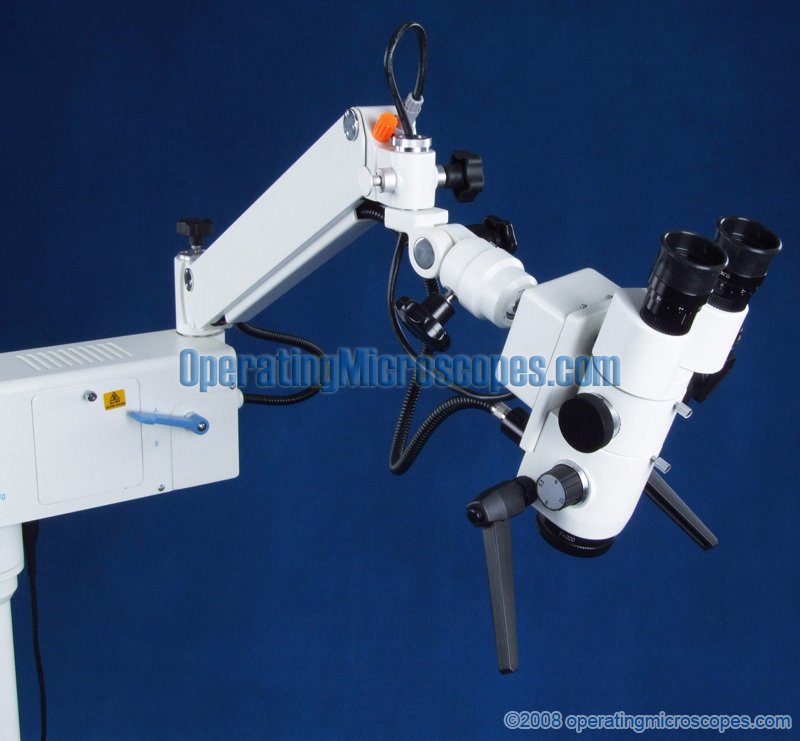 Most of the specifications of this model are identical to model MS-111 but they are repeated here to show the difference in arm length and vertical adjustment range. 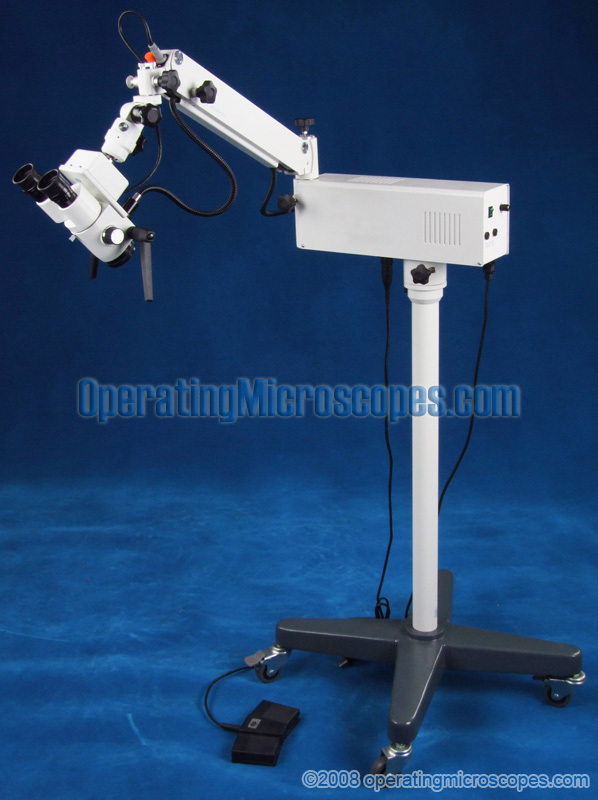 For other details, refer to the text on model MS-111.